Life Science Academy Named Distinguished School AGAIN!!! During the holiday season we encourage our LSA students to give back to our community and remember those less fortunate. 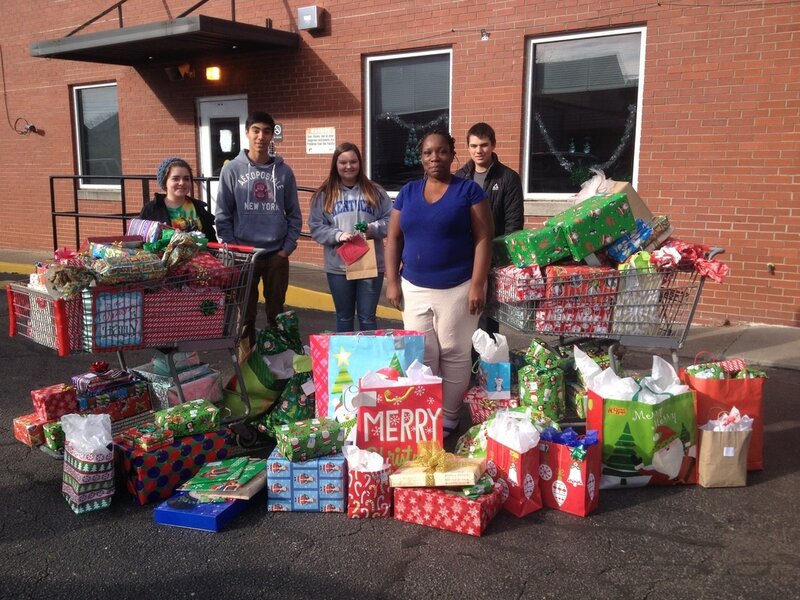 This year, our awesome LSA students and parents provided gifts for 20 girls and boys at the Pitino shelter!! Thanks for all you do! Giving back to the community is something that LSA promotes in our students through an annual community benefit project. This year, our students teamed up with the Pitino Shelter and collected a variety of clothes and shoes for those less fortunate. As you can see in the picture, the drive was a huge success! Way to go students!! The Life Science Academy (LSA) has been honored as a Distinguished School through Project Lead The Way, a nationally recognized STEM (Science, Technology, Engineering, Math)-based curriculum provider. Life Science Academy is one of 340 schools across the nation selected to receive this designation. In the Spring of 2018, we visited Murray State University. Great visit! In the Fall of 2017, several of our students had a chance to visit the University of Southern Indiana as they begin deciding on where they would like to attend college. Our 2017 Pitino Shelter Christmas Campaign was a HUGE success! We fulfilled the Christmas Wish Lists of 21 kids currently staying at the shelter this year! Way to go LSA! LSA students had a chance to show off their skills at Audubon Elementary School during Family Night. I think our students were reliving their elementary school days! LSA juniors and seniors are invited to attend a great presentation by Dr. Gray at the Western Kentucky Botanical Garden Tuesday November 15th from 11:30 to 1:30 PM. Lunch will be served. You are responsible for your own transportation. RSVP is required by Tuesday November 8th. We will be hosting Parent/Teacher Conferences after Fall Break. Please click here to sign up with your student's professor. A big congratulations to all our students for their hard work on the Water Balloon Bash! Along with your friends and family, you were able to raise $515.00 for the Owensboro Autism Network! Way to go! 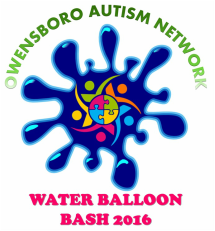 The Owensboro Autism Network Water Balloon Bash (LSA Community Project 2016) is on! Join us for a dodge ball-style water balloon tournament or just some recreational play in support of the good work of the Owensboro Autism Network! The Bash will be on the OCTC Main Campus Lawn, Saturday, September 17th from 1-5. Our first 2016 campus visit is scheduled for Friday September 30th to the University of Kentucky. Get more information and sign-up here! 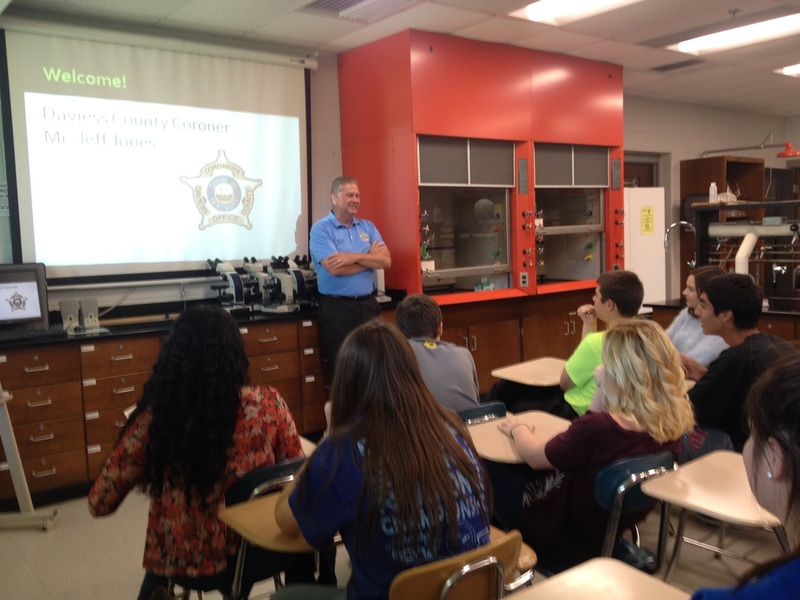 The LSA was honored to host Mr. Jeff Jones, Daviess County Coroner, for his annual guest appearance in; a big thanks for sharing his experience and expertise over the past 5 years!!! Get some new LSA gear to start the new year. T-shirts, hoodies, sweat pants and embroidered performance polos are now available! Get yours today! What a great start to another great year at the Life Science Academy!!! Welcome freshman and returning upperclassmen. Welcome new parents, family and friends. This year promises to be the best yet! Great job guys! 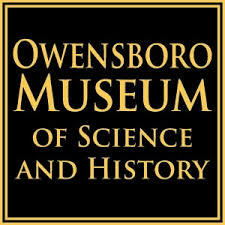 Our students produced and implemented five outstanding Summer Science Workshops for kids at the Owensboro Museum of Science and History! 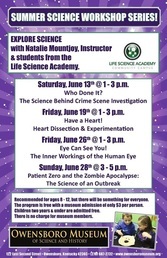 Workshops included: Eye Can See You, Take a Breath, Zombie Apocalypse, Science @ Home and Brain-i-acs. Way to go! Visit the Museum Today! Our first-ever LSA Graduation Ceremony will take place Saturday, May 14th 2016 at the Owensboro Health Auditorium with a reception to follow. Join us to celebrate & congratulate our seniors! Please RSVP today. 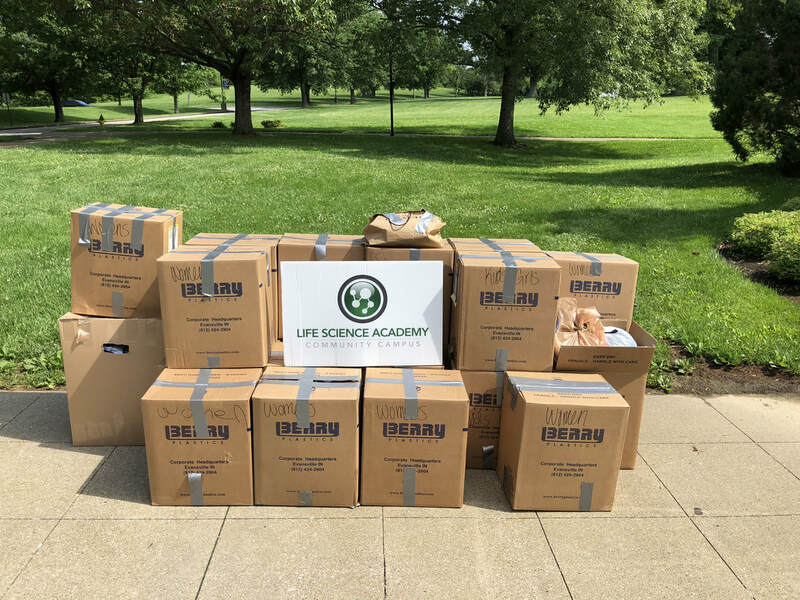 Giving back is a vital part of the LSA. We believe community service is our responsibility. We have three big Volunteer Opportunities coming up: OH VolunTeen, Museum Summer Science Workshops and the Hands Alive Fair. Sign Up Today! Four of our original research projects were selected from across the state to present at the PLTW Posters @ the Capitol event in Frankfort on February 24th. It was huge success! We were accompanied by our new 3rd grade mentees from Estes Elementary! We met Gov. Bevin, Sen. Bowen and Reps. Thompson, Glenn and Miles! Explore the LSA at our 2016 Expo on 2/11/16, 6PM at OCTC's Advanced Technology Center! Visit science booths of our favorite labs, meet the faculty and do hands-on experiments! ...join our LSA Family Today! 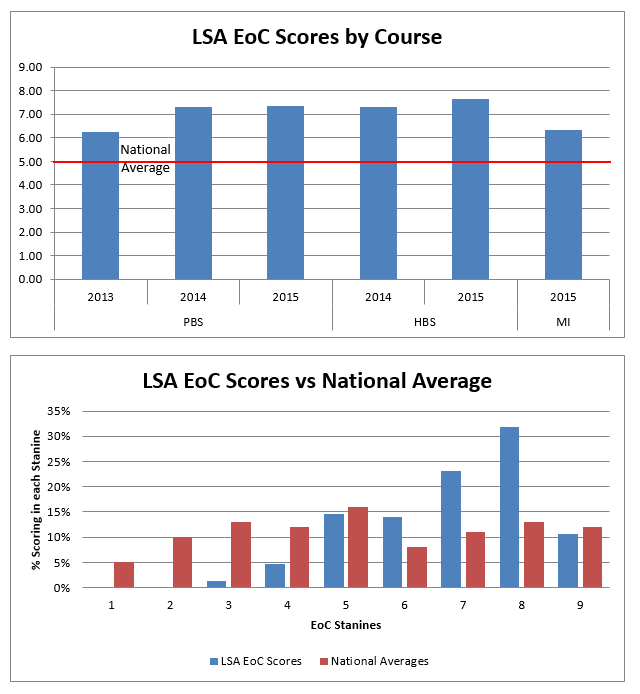 Our annual student-produced LSA Newsletter is now available. 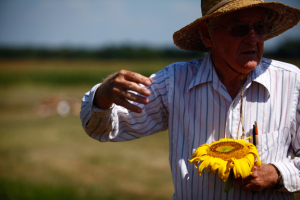 Check it out to learn about some of the coolest goings on at the LSA this year! The current issue includes a focus on our research partnerships, favorite experiments, college trips and community service. Eight of our students volunteered their time at the Owensboro Museum of Science and History to ring in the New Year at their Noon Year's Eve Celebration for the little ones! Christmas Campaign 2015: Working through World Vision, our students and their families raised $1,241.00 to purchase needed goods for families in the developing world! Gifts included: 15 partial shares of sewing machines with training, 16 soccer balls, 20 sets of $375 worth of school supplies and 33 ducks for food and breeding for profit. 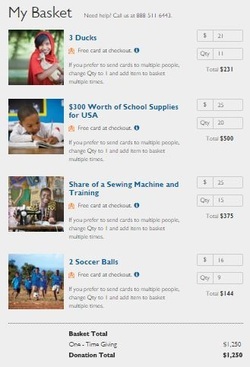 These gifts have the potential to help lift families out of poverty! 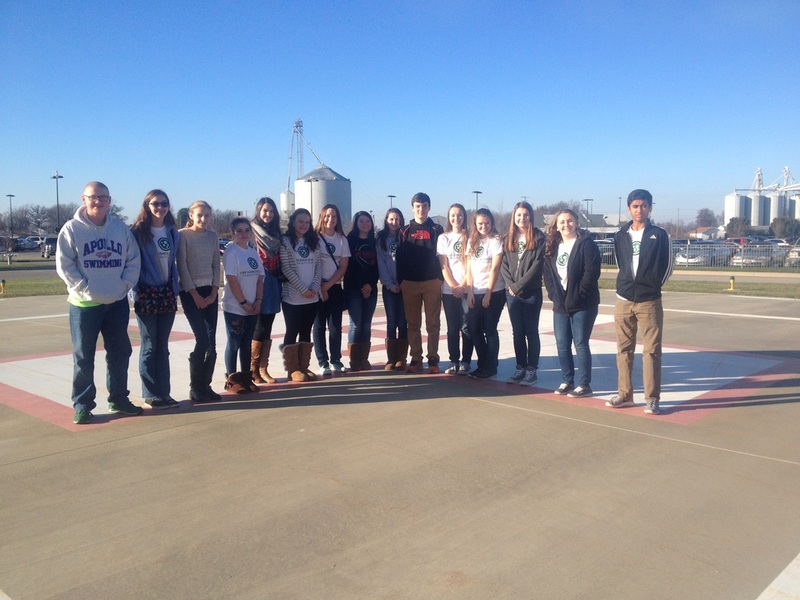 What an amazing trip to Owensboro Health!!! ​Thanks to our great partner for providing such a wonderful experience for all our students! 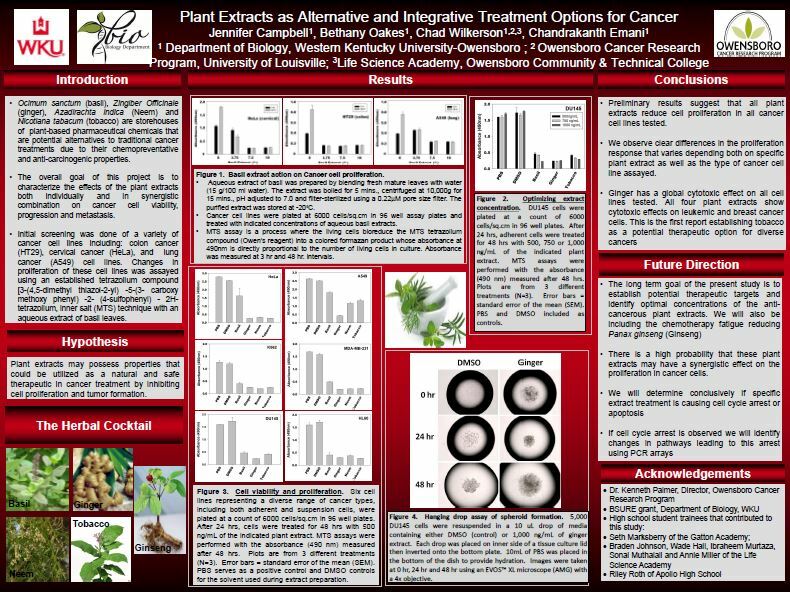 Click to view a larger version of the poster recently presented at a WKU Research Conference. 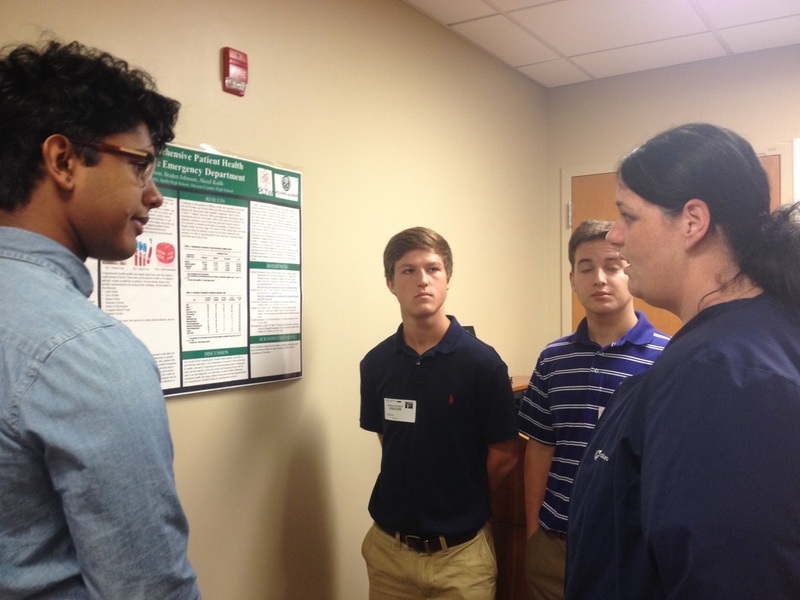 As part of an summer internship, LSA students Wade Hall, Braden Johnson, Lucy Kurtz, Sonal Muthalali and Ibraheem Murtaza worked with our very own Dr. Wilkerson (of the Owensboro Cancer Research Program), LSA research-affiliate Dr. Emani (of WKU-O) and other WKU-O students on the effects of plant extracts of cancer cell growth! 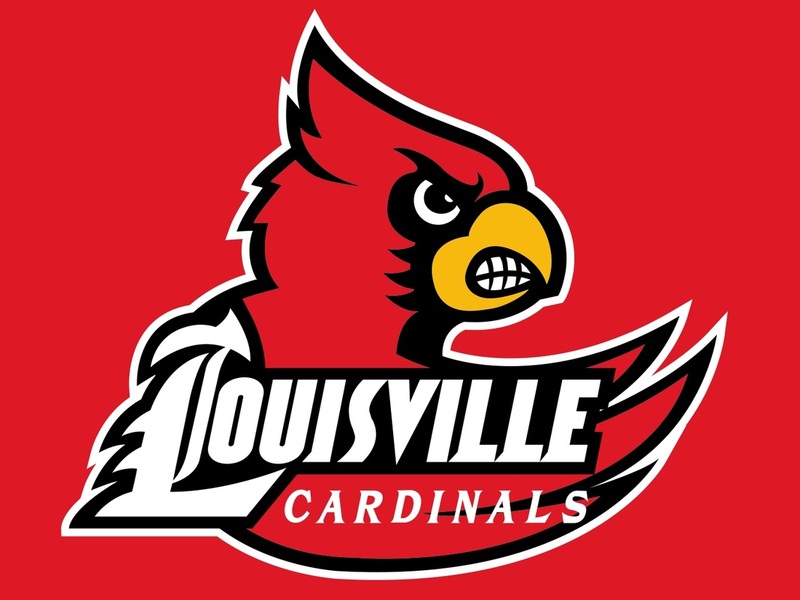 ​Sign up today to join LSA upperclassman on our trip to visit the University of Louisville on Friday November 20th from 8AM to 5PM. We'll focus on Health Science and Nursing Programs. We had an amazing trip to WKU! We met with Pre-Med and Pre-Vet advisers as well as the Associate Dean of Ogden College and the Head of Biology. We also learned about the Honors College & Scholar Development. Thanks WKU! Our seniors in Biomedical Innovation recently presented their Emergency Department Innovation Ideas at the OH Regional Hospital ED monthly meeting. Great job everyone and thanks to Meredith Sims for the opportunity! We are so grateful for our latest grant award of $1,000 from The Women's Guild. The funds will be used to implement our Community Service Project this spring. Members of Owensboro's Women's Guild, thank you! 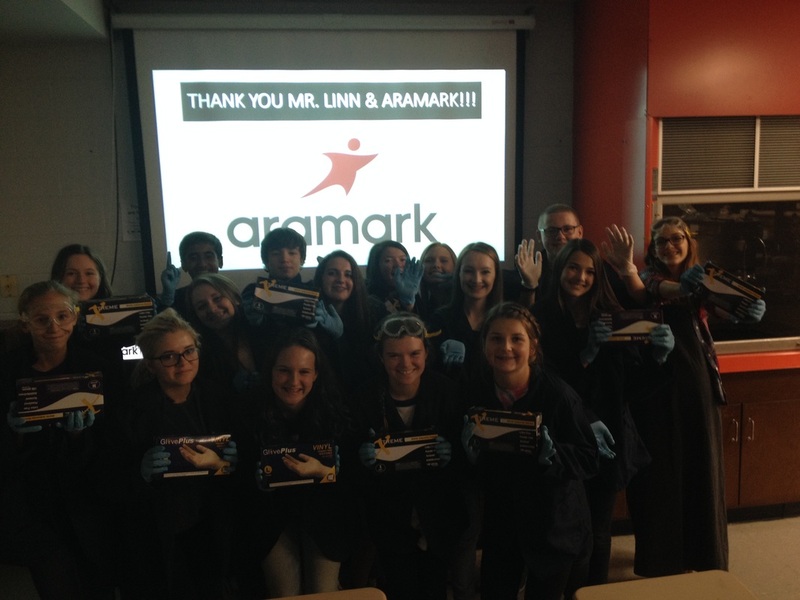 A big thanks to Mr. Linn and Owensboro's own Aramark Uniform Services! They donated 50 boxes of gloves to our program this year! We learned a lot about Project Lead the Way's efforts across the state at the latest conference. Project-based learning helps students accomplish amazing things! Real superheros! Five of our students served as Superhero Auction Spotters at the Wendell Foster's Campus "Become A Superhero" 12th Annual Benefit Dinner and Auction. Their efforts helped raise valuable funds for a special organization our community is very proud of! 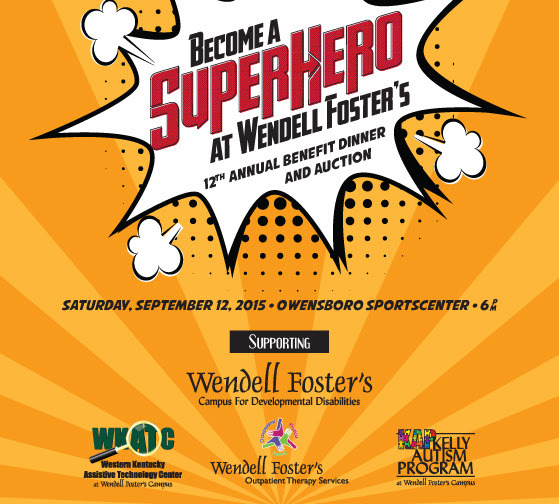 LSA students will be volunteering at the upcoming WFC Become A Super Hero 12th Annual Benefit Dinner and Auction! 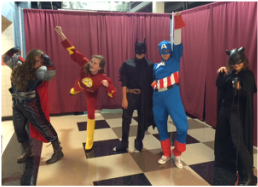 Our students will once again don their superhero alter-egos and serve as auction spotters for the crowd! Sign up here to be a hero! The 2015-16 academic year is off to a great start. 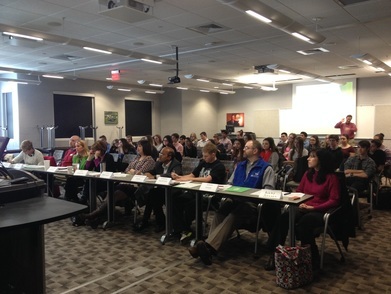 We welcome our new freshman class (pictured at left) to our growing academy! Another great year of funding from Owensboro Health. A big thank you for this year's awards in the amount of $64,000! Thank you OH Community Benefit! 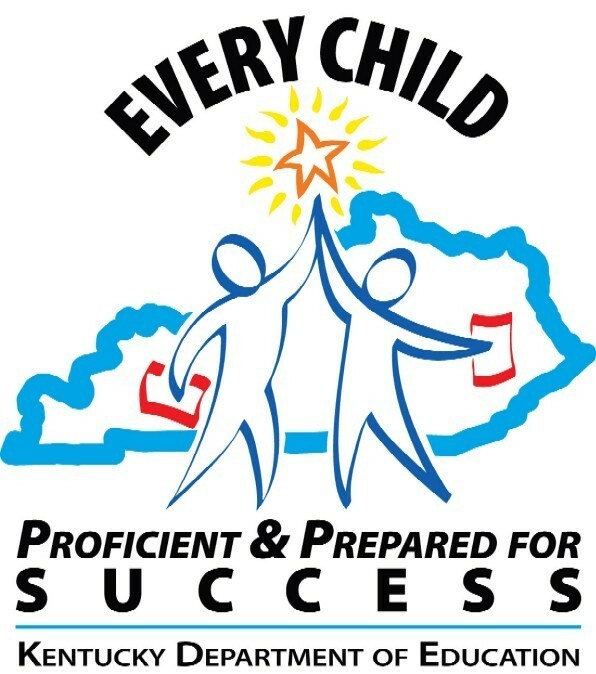 We are happy to announce the Life Science Academy has been awarded a $25,000 Perkins Federal Reserve Grant from the Kentucky Department of Education. The purpose of the grant is to develop a career pathway in Biomedical Science that includes courses at the secondary and postsecondary level. A big thanks to the Dart Foundation for their continued financial support: $5,000 for this academic year! We are so excited to have Ms. Amanda Jerome as our new Career and College Readiness Coordinator. Ms. Marcia Carpenter has retired after many years of dedicated and faithful service to DCPS. 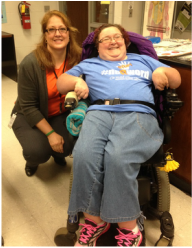 She has left Community Campus in the capable hands of Ms. Jerome and we are looking forward to a bright future! Our Summer Science Workshop Series at the Owensboro Museum of Science & History was a huge success with more than 60 attendees! LSA students developed and conducted four workshops on forensics, the human heart, optical illusions and a viral zombie outbreak! Our students' assessment scores continue to be in the top 25% nationally, with more than 80% of students achieving mastery of course content! The image to your left details our success. This year's scores were particularly impressive and we look forward to continued success. Great job everyone! New regulations prohibit the campus' Supports for Community Living homes from being adjacent to The Campus. These are the folks we spent so much time with. Please, read this article and sign this petition. Let's help them keep their homes! We did it!!! We met all our community project goals this year! 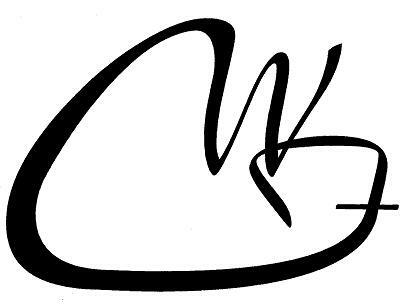 We started 1,388 conversations about the Wendell Foster's Campus and the No R-Word Campaign. We reached 11,104 individuals via social media and collected 1,033 No R-Word pledges. We raised $1,510.00 in t-shirt sales with profits to go towards the WFC! LSA Summer Opportunities: You could teach a science workshop at the museum, or work on research projects at OCTC or WKU-O! Sign up today for more information! 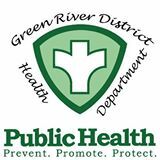 You can look forward to seeing the creative and persuasive efforts of our freshman class at our very own Green River District Health Department. Their public service announcements regarding infectious disease will be on display over the next year...especially during flu season!!! Ambassador training for our Community Project has officially begun! A big thanks to Ms. Shelly Bozarth, Wendell Foster's Campus member and community advocate, and Ms. Carolyn Ferber Community Education Coordinator for sharing the mission and history of The Campus with us and kicking off our No R-Word Campaign! 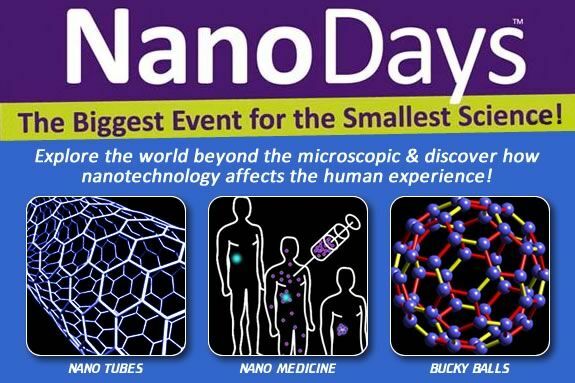 The NanoDays Exhibit at the Owensboro Museum of Science and History was a huge success! LSA students volunteered their newly acquired expertise to help with event booth and museum visitors. Life Science Academy students and faculty were happy to organize a forensics station at the 8th Annual Hands Alive Fair Friday March 27th. 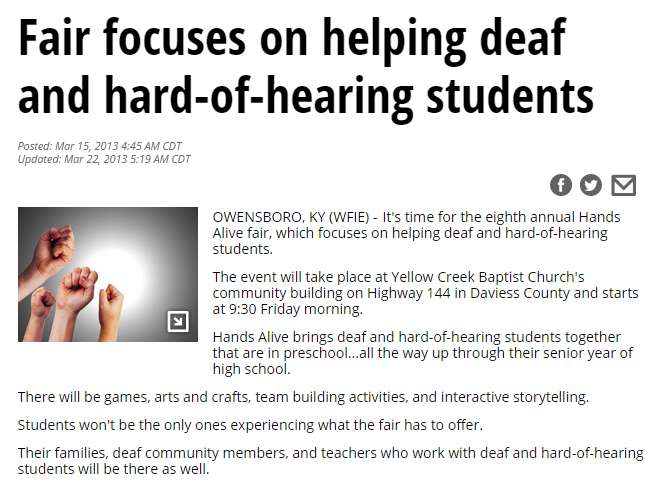 The Fair focuses on helping deaf and hard of hearing students from preschool to 12th grade. We are thrilled to announce the winning community project this year will be the Wendell Foster's Ambassador Program to raise awareness about mental disabilities and the No R-Word Campaign. 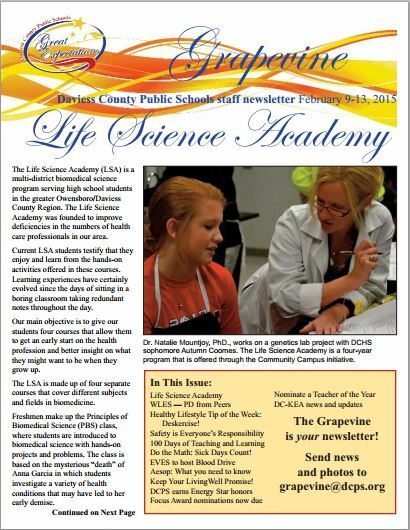 The Life Science Academy was featured in February's issue of the Grapevine, a Daviess County Public Schools monthly newsletter. Click the image at left to read the issue and learn more about the LSA! Special thanks to all our experts for judging our student project proposals! 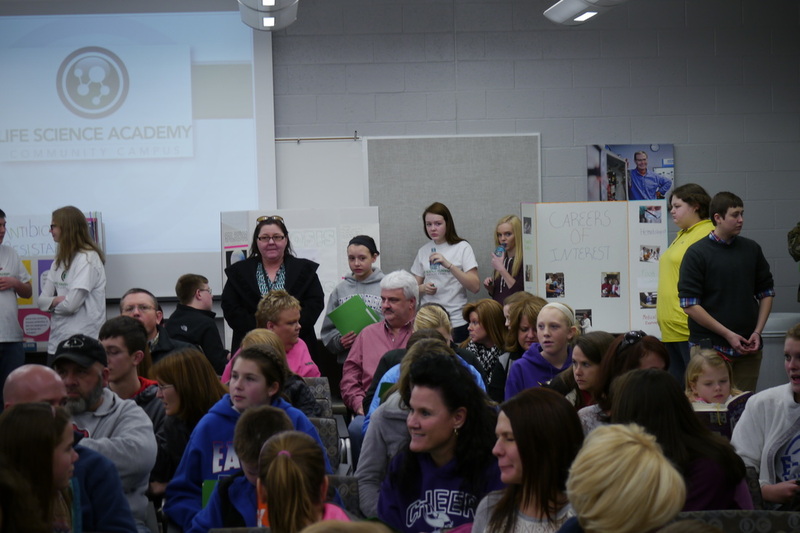 Our students presented their LSA Community Project Ideas to our Expert Panel on February 26th. Check in with our Community Service Page periodically to keep up with our selection process! In partnership with WKU-O and Dr. Emani, LSA students will begin researching the origins of various genes via bioinformatics. Our intent is to present this research at the WKU Student Research Conference and publish in a peer-reviewed journal. Once our work begins we will report on our progress and results here, so check back for updates! Our 2015 Expo was a huge success! Check out our student-produced mini-documentary to to see what the LSA is all about!...If you're interested APPLY HERE! LSA students have been ask to join in on the Greater Owensboro 2065 Initiative, a year-long visioning and planning process for the future. If you're interested in serving with the Vision 2065 Health Group as a youth representative, click here for more information! Interested in our Hejcin Student Exchange Program? We will visit the Czech Republic next Fall Break! 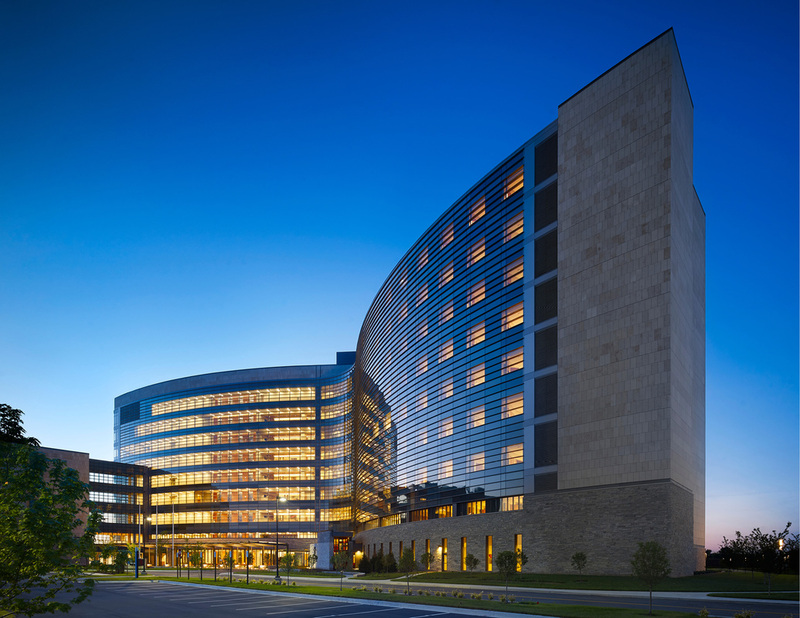 Expand your worldview and experience healthcare from a global perspective. Our student-produced 2015 newsletter is complete! Check it out for stories on our favorite LSA labs and experiences over the last year. Everyone did a great job, and a special thanks to all our editors: Lucy, Kristina, Kathryn, Savanna, Eli, Mason and Cassie. Way to go! Merry Christmas! Our first annual Christmas Campaign was a huge success! 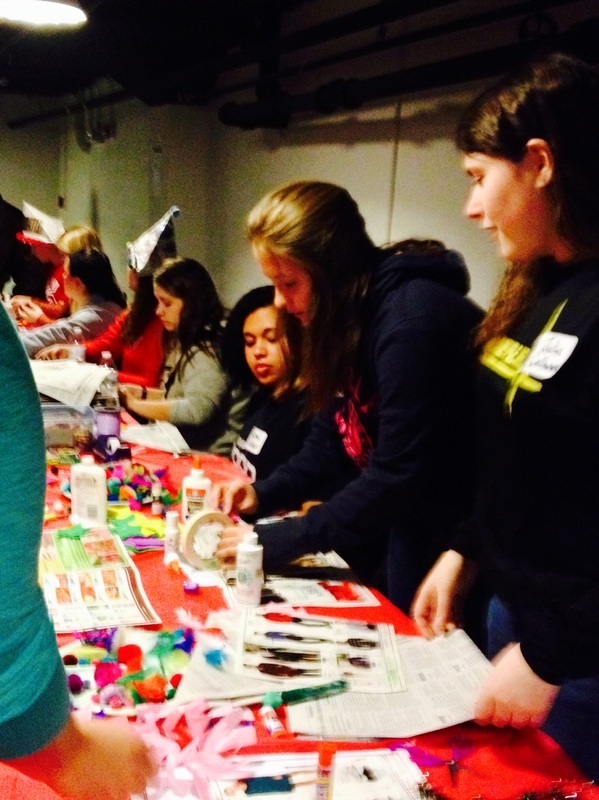 LSA students and families got together to give needy kids a great holiday! We delivered over 75 gifts to 13 children staying at the Pitino Shelter! Our very own Gracie Hebda-Hobbs was selected for the Congress of Future Physicians & Medical Scientists in Washington D.C. this year! Way to go Gracie! 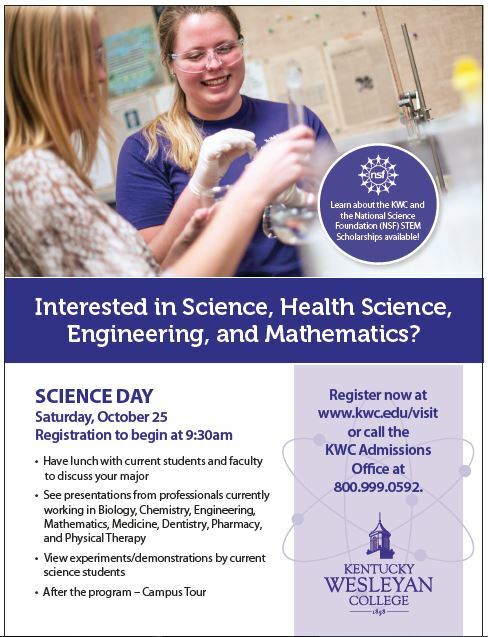 Science Day is Coming Up @ Kentucky Wesleyan! Saturday October 25th from 10am-2pm with registration at 9:30. There will be sessions for Biology, Health Science, Zoology, Chemistry, Physics, Pre-Engineering, Math and Q & A with health care professionals. Click here to schedule your conference. Save the date! LSA Parent teacher Conferences are coming up! They will be held Friday October 3rd at OCTC. Please click here to schedule your conference. 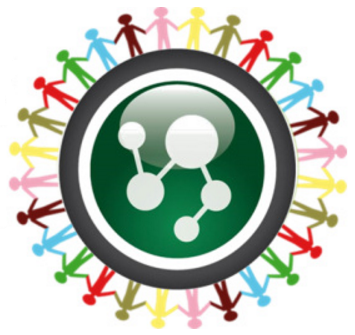 Learn about the community and how the political process requires the ability to cooperate, compromise and practice civility. A great opportunity for LSA sophomores: EmergeNext, part of the Wendell Ford Government Education Center, is still accepting applications. 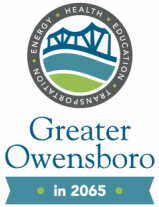 EmergeNext is a partnership with the Greater Owensboro Economic Development Corp. and the Greater Owensboro Chamber of Commerce. Click here to see what LSA students have been doing! What did our students get up to this summer? The Life Science Academy freshman class of 2014. We are thrilled to welcome our new incoming freshman class of 2014! Congratulations everyone on your hard work and dedication getting into the LSA! 2014 LSA Classes Begin @ OCTC on Monday August 18th...Get ready for excellent year! 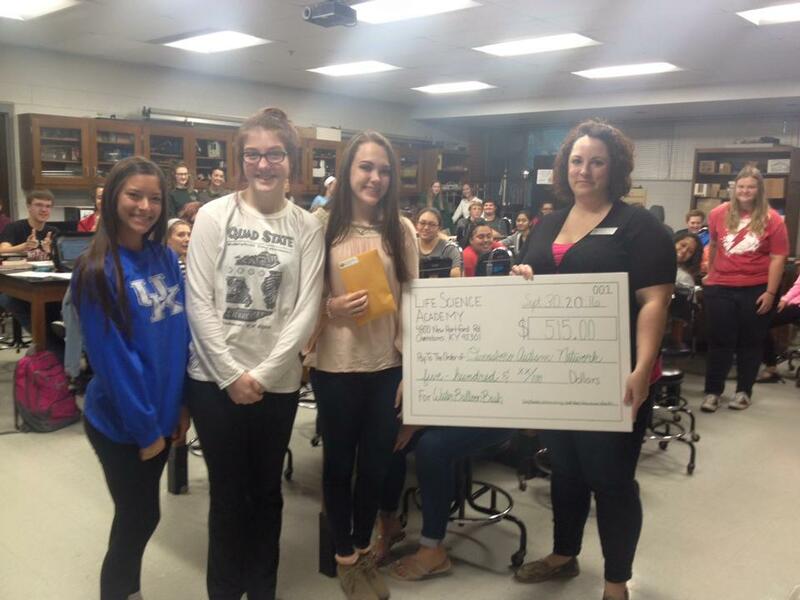 A big thanks to Owensboro Health and the Dart Foundation for almost $57,000 in grant donations to the Life Science Academy in the past 6 months!!! We are proud to announce the newest addition to our growing faculty. Dr. Chad Wilkerson of the Owensboro Cancer Research Program will be our professor for our junior course, Medical Interventions. Welcome aboard Dr. Wilkerson!